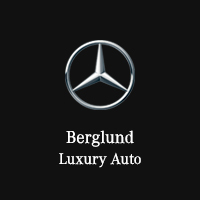 By submitting this form you agree to be contacted by a Berglund Luxury Auto staff member. When you’re buying a new or pre-owned vehicle, every dollar counts. You want to stretch each one to its maximum potential so that the vehicle you’re purchasing represents an exceptional value. That’s why it’s so important to get a good estimate of what your current vehicle is worth beforehand. Mercedes-Benz of Lynchburg is here to help you do just that. With a solid idea of how much your trade-in value can help toward the purchase of your new Mercedes-Benz or used car, truck, van, or SUV, you’ll be equipped to make smart financial decisions and select the vehicle that works best with your unique needs and budget. Our trade value tool will take into account the specifics of your vehicle and give you a reliable estimate of how much its residual value will be able to help you in the purchase of your new car. A good estimate might mean the difference between getting the top-tier trim with all the features you want, or having to forgo them in the name of sticking to your budget. At Mercedes-Benz of Lynchburg, we want to help you get the best possible deal on your dream car. With an attractive price and low monthly payments as part of the package, you’ll also benefit from your trade value if you have a vehicle to trade in. Use our handy tool to get a better idea of your budgetary considerations, and then proceed confidently in your new vehicle search. We carry all the new Mercedes-Benz models you’ve been dreaming of, as well as a fantastic inventory of high-quality pre-owned vehicles. All you have to do is pick your favorites and then head to our dealership when you’re ready to test drive them.